Saul (Geza Rohrig), a Hungarian jew, is a member of an Auschwitz Sonderkommando, a unit of death camp inmates pressed into disposing of the bodies (or, as they are referred to in the euphemising language of the Final Solution, the “pieces”) produced in the Nazi gas chambers, having first looted them for valuables. Any apparent privilege that went with the life of a Sonderkommando member was transient. After weeks or months of bearing the most intimate witness to the horrors of the gas chamber and the furnace, the gas chamber and the furnace awaited every one of them. László Nemes’ debut feature, which won the Grand Prix at this year’s Cannes Film Festival, takes place around the time of the October 1944 Sonderkommando uprising at Auschwitz, or something modelled closely on it, as members of the unit use their access to the camp’s thriving black market and their relative freedom within the camp to gather explosives and weapons, with the intention of blowing up one of the camp crematoria and shooting their way to freedom, where they will join up with the resistance. Saul is part of this effort but at the crucial moment his focus is distracted when he sees a Nazi doctor stop with his bare hands the breath of a young boy who had survived the gas chamber, and who Saul becomes convinced is his son. He steals the boy’s body and resolves to give it a Jewish burial, with a rabbi reciting the Kaddish. First, he needs to find a rabbi. Much has already been written about Nemes’ visual strategy – mostly about his use of the 4:3 frame that hovers no more than shoulder-width from Saul’s own point of view, often throwing most of the image out of focus, apart from those things that are the centre of Saul’s attention. It has been argued that this softens and aestheticises the horrors of Auschwitz, but this feels to me like a first principles objection that doesn’t apply to Nemes’ practical execution, which deploys the too well-worn iconography of the death camps in ways both familiar and surprising, often drawing to considerable shock effect on less highbrow forms of prior art (one is almost more likely to think Wolfenstein than Shoah) , but also allows us to experience Saul’s banally quotidian racist humiliation at the hands of racist SS offers at a painful lack of remove. Mention should also be made of the state-of-the-art sound design (both visually and aurally, Nemes owes a lot to his erstwhile mentor Bela Tarr) that places snatches of conversation and background noises in a 360 degree field around Saul, increasing the already almost unbearable disorientation and tension. James White is Josh Mond’s first feature as a director, but you might recognise his name already. Mond is a member of the Borderline filmmaking collective, and has been the producer a series of attention-grabbing independent films such as Afterschool, Simon Killer and Martha Marcy May Marlene. I’ve had mixed reactions to the Borderline films that I’ve seen so far and I didn’t have particularly high expectations for James White, which seemed to be conforming to type in its early stages. The film opens with a close-up on the eponymous character (played by Christopher Abbott) and it quickly becomes clear that he’s yet another privileged 20-something in New York who can’t get his act together – the kind of protagonist, in other words, that has hardly been in short supply in recent American independent cinema. Our understanding of James will be deepened and reshaped during the course of the film, however, primarily through his relationship with his mother. James’s mother Gail (Cynthia Nixon) is suffering from stage 4 cancer, and while Mond follows his central character as he parties, finds romance and haphazardly tries to secure employment, things keep coming back to the disease that is gradually taking his mother away from him. At one point, as James enjoys a holiday with his girlfriend Jayne (Makenzie Leigh), a phonecall from Gail confirming that her condition has worsened instantly destroys the momentary oasis of pleasure that he had established. Mond is good at detailing the numerous frustrations and difficulties involved in looking after an ailing relative, from James’s inability to get attention for Gail at a busy hospital to a stressful night spent monitoring her dangerously high temperature, to the physical exertion required in moving her from one spot to another. 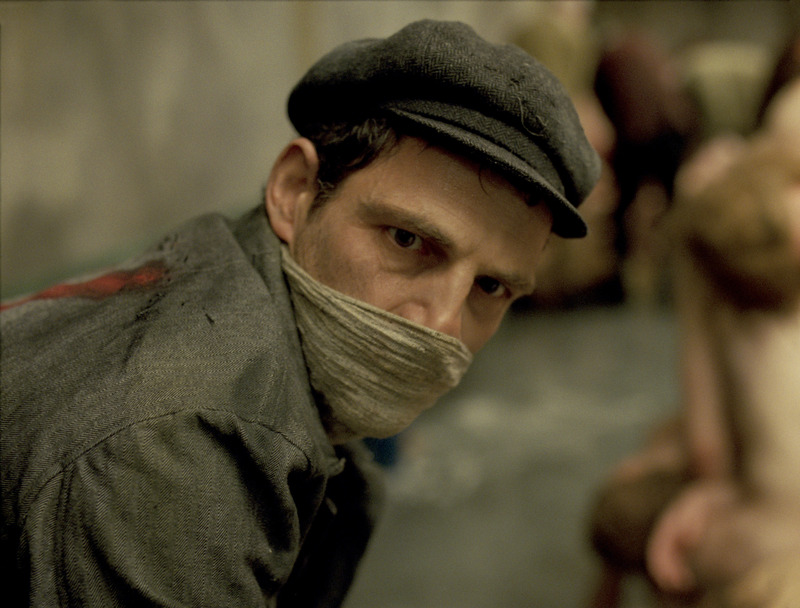 Aided by Son of Saul cinematographer Mátyás Erdély, Mond creates a lively and intimate atmosphere that is continually feels charged with conflicting emotions.